La Paz sits at the end of Mexico’s Baja California Sur peninsula and means “peace” in Spanish. If you want total relaxation and the chance to see whales, swim with sea lions and eat high quality, tangy seafood then this is the perfect place to plan your yacht charter. 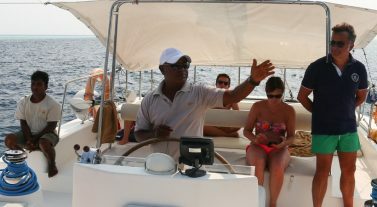 Call our team to book your dream yacht charter and get to know La Paz for a fabulous vacation. 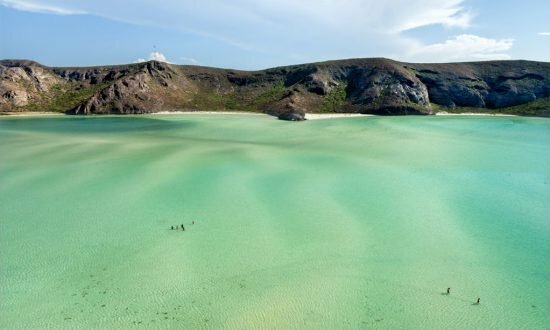 We recently opened our base in La Paz, Mexico so our customers could explore the 900 islands in the Gulf of California, many of which are UNESCO protected. 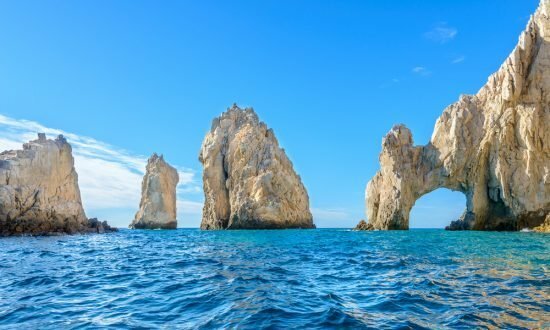 La Paz is a friendly port, fringed by ancient laurels, coconut and date palms, and offers world-class sailing, diving and snorkeling in the Sea of Cortez. Head to the Paseo Alvaro Obregon waterfront and stroll through the Malecon boardwalk’s shops while sheltering from the sun among the sun-dappled trees. Go whale or dolphin watching and get close to these beautiful creatures, or swim with sea lions at Isla Espiritu Santo, a natural aquarium. If jaw-dropping anchorages and exploring bountiful marine life aren’t enough, then the city offers luxury resorts, golf courses, fine restaurants, museums, and restored colonial-era buildings, all of which make La Paz an unforgettable Dream Yacht Charter destination. Dream Yacht Charter in La Paz: Our diverse fleet of catamarans and monohulls for bareboat yacht charters in La Paz is based at the exclusive Costa Baja resort with its full service marina, dive shop, supermarket, restaurants, golf course and beach club. Our La Paz base team will receive you warmly and look after you, giving local tips and advice. If you need help planning your charter, check out our inspirational itineraries section. Get in touch with our team to find out more. The time difference in La Paz is Coordinated Universal Time (UTC) -4 hours. Make sure your documentation is in order to travel. All foreign nationals, including US citizens, must have a passport and a Forma Migratoria Multiple (FMM), temporary or permanent resident card or a tourist visa. There are special document requirements for dual Mexican/American citizens, particularly minors. We advise you speak to the Mexican Counsel General’s office in Los Angeles, CA, or visit your nearest Mexican embassy or consulate. Talk to us to make sure you have the correct documents before you travel. You can easily hail a collectivo bus-style taxi with its destination displayed in the front window, or a cab, but make sure you negotiate the price before you get in. It’s a good idea to ask restaurants and bars to call you a cab home if you’re out late. You can also rent a car but make your reservation in advance using the company website to get the best price. For dining out near base, try Azul Marino for a relaxing view over the waterfront, pizza and seafood. La Barcaccia is the local choice for authentic Italian food and spirits. Odayaka Sushi Bar catches its fish is locally and it’s a fresh delight. For a hotel stay, book the five-star Costa Baja Resort for pampering and golf. For specific information about restrictions, visit the government’s website. The currency is Peso but US Dollars are accepted in main tourist areas. Visa and MasterCard are accepted, and American Express is less frequent. ATMs are easily found and there is one at our base marina, but all dispense Pesos. Getting online is easy with plenty of Wi-Fi spots and cyber cafés, but you may find that speeds vary. Temperatures during summer in La Paz reach an average of 90ºF in May and October, even reaching 100ºF sometimes. You’ll enjoy fantastic sea temperatures of more than 80ºF and cooling rainfall, as 90% of La Paz’s rain falls between July and October. It’s drier in the low season between December and March, which still has comfortable temperatures averaging 79ºF. The sailing conditions include southerly winds averaging between 10 to 15 knots. Most of the Pacific basin tropical storms during hurricane season typically pass south of La Paz and the southern tip of the Baja Peninsula. You’ll need to visit the harbormaster and leave a detailed trip plan, including intended destination and crew and passenger information, before leaving Mexico. Day 1: Head to Ensenada Grande, a popular anchorage with its turquoise waters, towering rocky cliffs and white sand beaches. Ashore you can hike, lounge on the beach or enjoy the waters and snorkel along the rocky shoreline. Day 2: Located just off the northwest tip of Isla Partida, rocky islets known as Los Islotes is famous for being one of the few places you can swim with sea lions in a natural setting. Moor dinghies at the national park’s buoys on the northern and southern shores. Head to El Bajito for great diving with tropical fish or sail to nearby San Evaristo, a quaint fishing village, and spend the night in a well-protected anchorage. 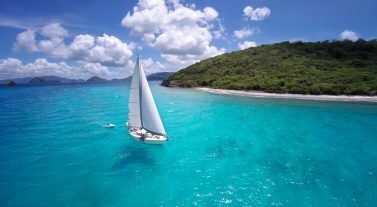 Day 3: Sail to Isla San Francisco, a popular anchorage in a crescent shaped bay fringed with white sand beaches, red rock cliffs and crystal clear waters. This picture-perfect cove offers sublime hiking, snorkeling, fishing and beaches. The large bay can accommodate plenty of boats and has a good holding ground. Day 4: Make for Amortajada, on the southwestern tip of Isla San Jose. When you reach the anchorage, take your dinghy or kayak to explore the main lagoon by going through the mangroves. Take your binoculars to spot egrets and herons. Day 5: Set off for Isla Espiritu Santo and its most beautiful beach within the bay Bahia San Gabriel. Head to the rocky western shore of Punta Prieta and the southern point of Ensenada de la Dispensa for fantastic snorkeling. Day 6: Make for Puerto Balandra with its eight unspoiled white sand beaches and inland salt lagoon with the “El Hongo” rock formation, also known as the mushroom. In the shimmering blue water you’ll find an array of colorful fish and coral to delight swimmers and snorkelers. Day 7: Head back to base by 10am. Day 1: Begin your charter with some breathtaking underwater scenery by snorkeling at the rocky western shore of Isla Espiritu Santo at Punta Prieta or the southern point at Ensenada de la Dispensa. Drop anchor at Caleta Partida or Ensenada Grande overnight and relax. Day 2: Swim with sea lions in a natural habitat by sailing to Los Islotes at the northwest tip of Isla Partida. You can moor your dinghy at the national park’s buoys on the island’s northern and southern shores. In the southwest, dive at El Bajito to be among tropical fish and then head to San Evaristo, a quaint fishing village, to overnight at a protected anchorage. Day 3: Sail to Nopolo, anchor in the northern or southern lobes of Nopolo and use your dinghy to explore isolated fishing villages. You’ll be protected from northerly winds and free to explore this tranquil retreat. Day 4: Head to Puerto de Gato and while its anchorage is a bit limited, you’ll find stunning diving and snorkeling while surrounded by red rock formations and white sand beaches. Day 5: Find cave paintings, ample anchorage and snorkeling at Bahia Agua Verde, which is a remote fishing village. Puerto Escondido is also nearby, where you can spend the night. Pick up fuel and water, and provisions are just a taxi ride away in Loreto. Day 6: Plan a visit to the southern point of Del Carmen Island and Danzante Island too. After a full day, sail back to Bahia Agua Verde for the night. Day 7: Eat a hearty breakfast and make your way to San Cosme Island to spend the day there. Cruise south and stay overnight at Puerto Los Gatos, which will protect you from the northwesterlies. Day 8: Make your way to the anchorage at Amortajada, on the southwestern tip of Isla San Jose. Spot egrets and herons while kayaking through the mangroves to the main lagoon. Day 9: Find the picture-perfect cove of Isla San Francisco with white sand beaches with a backdrop of shimmering sea and red rock-lined shorelines. This popular anchorage boasts some of the best hiking, snorkeling, fishing, and beaches in the region. Although it’s popular the bay accommodates plenty of boats, and has a good holding ground. Day 10: After sunrise, sail to Ensenada Grande and enjoy swimming in its turquoise waters or stroll its white sand beaches. Explore its rocky shoreline underwater or hike ashore. On Isla Espiritu Santo, you’ll find a trail at the southern end of Bahia San Gabriel beach links you to yet another white sand paradise. Day 11: Don’t miss exploring Cardenal and Candelero on Isla Espiritu Santo with high visibility underwater for snorkeling adventures before returning for another night at Ensenada Grande. Day 13: With another white sand beach and shimmering blue water, Puerto Balandra is a wonderful playground for any snorkeler, hiker, or kayaker. It’s also home to the famous mushroom-shaped rock formation “El Hongo” and inland salt lagoon. Day 14: Head back to base. Our La Paz Base Manager will be pleased to welcome you on arrival. Fly into La Paz International airport. Aero Mexico has the most daily flights and there are several other domestic airlines via LAX or Mexico City. We can arrange airport transfers on request to our base at Costa Baja, which takes about 14 minutes. Make sure your passport is in date and valid for the duration of your stay and we’ve got visa advice under our Handy Info section. Sailing and weather conditions aren’t broadcasted on VHF radio including, Channel 16, for this region. We recommend using the internet to keep an eye on the weather: www.windguru.cz. There are plenty of provisioning options, including a nearby Walmart and a market at base, open 7am to 10pm, where you can also grab drinks and meals. On land electricity is 127 Volts – 60Hz (pack an American adaptor).